present something in a more interesting or lively way. What’s the most excited you’ve ever been while eating? Think of that time. Could you barely get the food in your mouth fast enough, or were you taking all of your sweet time to savor every bite because you just didn’t want to finish? Was it the greatest moment ever? Have you ever had one of these with food? 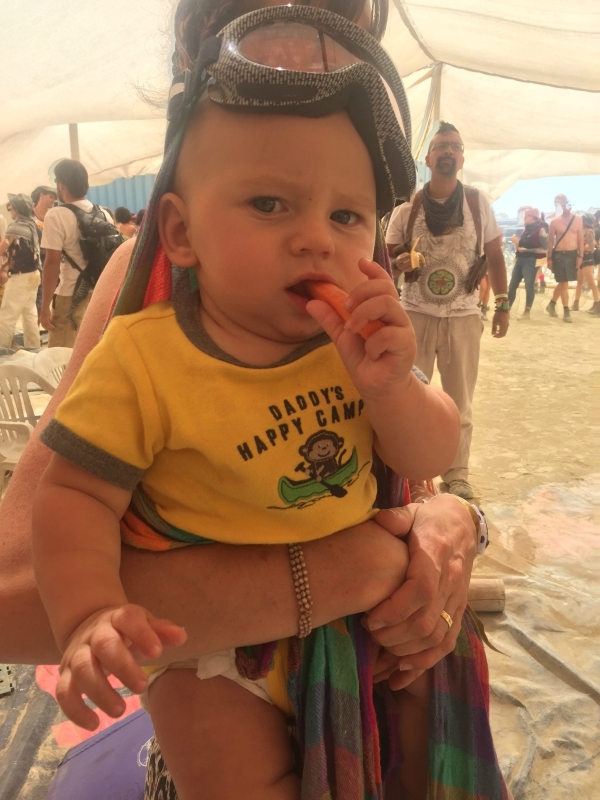 one of my favorite Burning Man moments…Joe and I went to meet this adorable little guy and he stole Joe’s organic carrot right out of his hand. Where is last week’s article? It never happened. I didn’t write one. 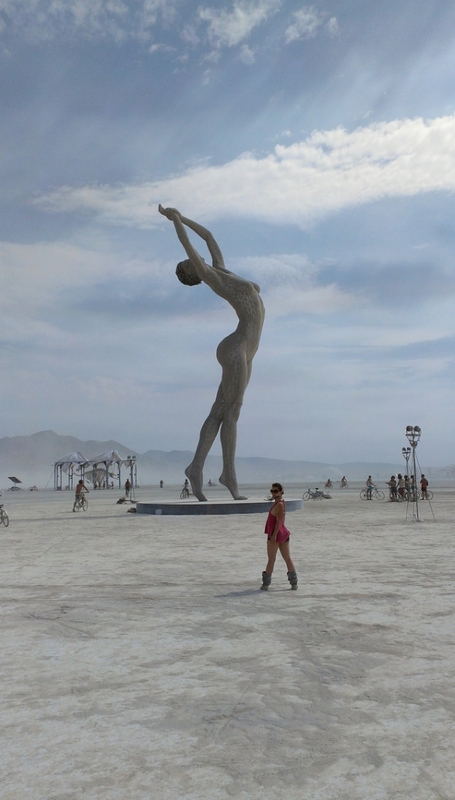 Burning Man consumed my every moment. A hiatus was a must to ensure that this year’s burn was epic…and it certainly was. 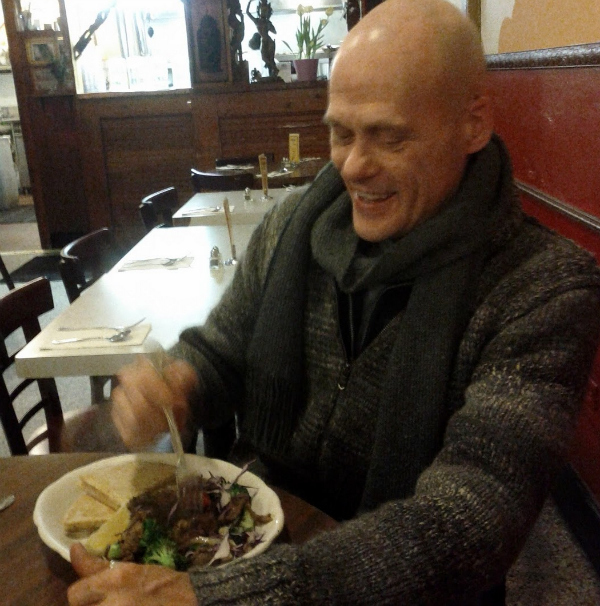 We danced, we cried, we ran, we tripped (vicariously through a volunteer position with the Zendo). The title says it all! I’m on my way to Burning Man, and will be playing in dust for the entire next week. Life is moving at a dizzying speed since I started school, and when I settle myself and sit down to eat, all I can think about is Vegetarian Locro (Argentine Hominy Stew). Last week, my friend from Argentina had his mother visiting. She made us dinner. It was a totally oralgasmic meal. My friend is a strict vegan, so his mother made this traditional Argentine dish just for him. She left out the usual five animals limbs and parts. I’m all about fast, efficient and nourishing. 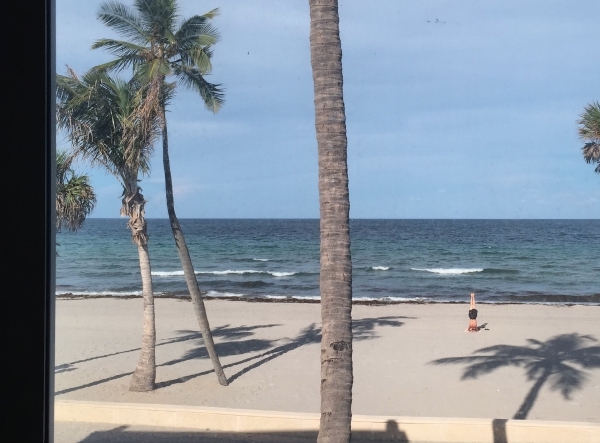 My husband Joe and I were traveling this summer and we wanted all the time we could get on the beach in Miami (we dream about that bathwater frequently). In other words, we wanted to spend as little time inside as possible. However, south Florida is nothing like the San Francisco Bay area. The sensual food scene is sparse. We opted for preparing our own at home. We rent through airbnb when we travel and always look for a decent kitchen. This spot couldn’t be beaten. 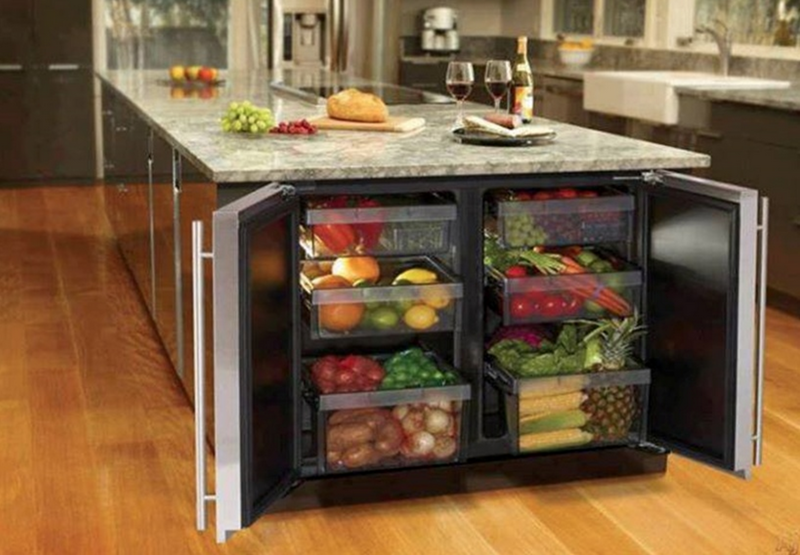 Do you have kitchen trauma? What was dinner like for you as a child? Did your mother or father, grandmother or caregiver figure in your life cook for you? Was there love in your kitchen? 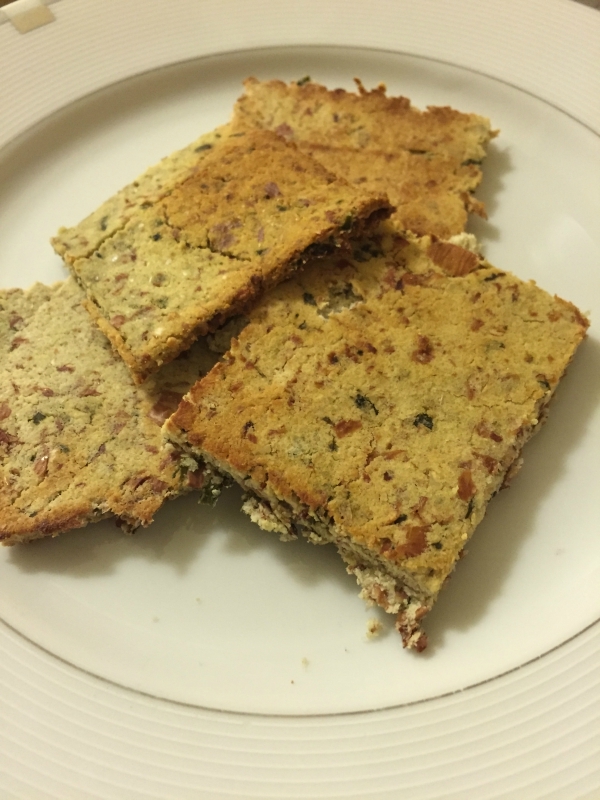 Crackers can be addicting finger foods. Anything in bite-sized form with a delectable crunch always gets me excited. I love crunchy and savory. These crackers are made with fresh basil, so they’re even more delicious. I believe that my serious cracker snacking days were when I was young. I’d sit with a box of Annie’s Cheddar Bunnies and go to town (I’m sounding super Wisconsin right now aren’t I)? For me, there’s this childhood nostalgia associated with crackers. Do you take your shoes off before you walk into your house? My mother and grandmother always did so I think I just picked up the habit. The habit became a must after my first international travel experience in Thailand, almost a decade ago. Even before walking into retail stores, I had to remove my shoes. Almost always, the floor was so clean, I was elated to step in with my bare soles. Are you superstitious? Does Friday the 13th make you wake up with your tail between your legs? I’ve always loved it because I was born on the 13th. It’s a great number, and who doesn’t love Friday? Don’t worry I know that it’s not Friday the 13th today, but the last was only a few months ago. The first Friday the 13th for 2015 was in March, and it was freaky, no doubt. It was the day the GMO apple was approved by the FDA (Food and Drug Administration).